Megan Marie Maldonado is a first year Masters of Public Affairs candidate at The University of Texas’s Lyndon B. Johnson School of Public Affairs. She plans to graduate December 2019. 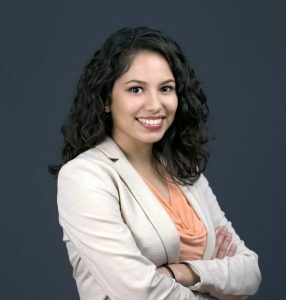 After graduating with honors from The University of Texas at Austin with a Bachelors of Arts in International Relations and Sociology, Megan served as the reading clerk in the Texas House of Representatives for the 85th session to gain exposure to the legislative process and public policy. Megan’s interest in public service began during her four-year tenure as a program support specialist at Subiendo: The Academy for Rising Leaders, a high school summer program for first generation and low-income students throughout the state of Texas. Subiendo is an intensive leadership development program for high school juniors who work in groups to address an issue facing Texas surrounding healthcare, education, and energy/environment. The program’s mission is to empower the next generation of leaders in Texas to pursue higher education and civic engagement in critical fields. During her undergraduate career Megan participated in multiple research projects, including conducting sociolinguistics research through the Intellectual Entrepreneurship Internship and assisting in geo-coding more than 2,000 foreign aid contracts under a USAID-funded research project with the research unit Innovations for Peace and Development. In March of 2015, she presented her capstone thesis on the “Ethical Dilemmas of Transnational Surrogacy in India” at the Graduate Student Emerging Scholarship in Women’s and Gender Studies Conference at the University of Texas at Austin. Megan’s research interests focus on addressing inequities faced by vulnerable populations on a national and international scale. As a first generation college student herself, she is also interested in research and programming related to educational outcomes and higher education access for low-income and minority students.